A few days before Easter Sunday, a member of our church asked me, “Pastor, will you continue our series on The Story of God this coming Sunday or will you take a break and focus on Jesus and his resurrection?” I replied, “Yes and yes. I will still continue preaching through the story of the Old Testament and I will also focus on Christ.” He smiled. He knew what I mean. He knew that I believe that the story of the Old Testament is also the Story of Jesus. Where do I get that? Do you remember a story about the risen Jesus talking to two of his disciples on their road to Emmaus? The two didn’t know it was Jesus who was talking to them. They were still perplexed about the events of the past few days. 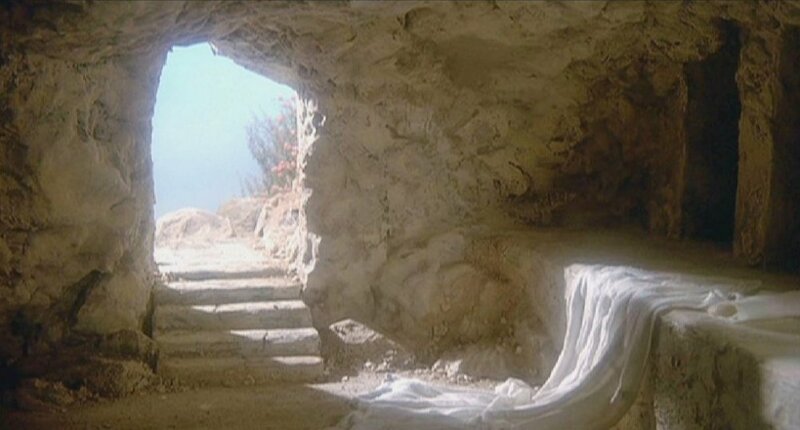 They heard the news that some claimed he rose from the dead. After rebuking them for their unbelief and their lack of understanding of the Scriptures, he told them how the Old Testament story is about him and points toward him. “And beginning with Moses and all the Prophets (the Old Testament! ), he interpreted to them in all the Scriptures the things concerning himself” (Luke 24:27 ESV). After this he showed himself alive to other disciples and told them, “These are my words that I spoke to you while I was still with you, that everything written about me in the Law of Moses and the Prophets and the Psalms (the Old Testament!) must be fulfilled” (Luke 24:44 ESV). This was not the first time they heard Jesus say this. He taught them at the start of his ministry, “Do not think that I have come to abolish the Law or the Prophets (The Old Testament! ); I have not come to abolish them but to fulfill them” (Matt. 5:17). They also heard him say to the unbelieving Jewish leaders, “For if you believed Moses (representing OT writers), you would believe me; for he wrote of me” (John 5:46). The Story of God is, indeed, the Story of Jesus. This is why, before sunrise on Easter Sunday, I preached about the story of King Saul, the first king of Israel. I told our church how this story points us toward King Jesus – his divine and human perfections and his role as the only mediator between God and man. And that’s what I’m doing every Sunday – not just during the Holy Week or the Christmas season. This has a huge implication not just on my preaching, but in all of life as well. If the whole story of the Bible points to Jesus, then our whole life story must also point to Jesus. Even our story must become his story. Click here (or the image thumbnail on the left) to read, listen, download or share the sermon God Raises His Own King. This sermon is based on the story of 1 Samuel 1-15. Story guides and story graphics are also available for download.